Classic Rock mixed with some great new music, that’s what we’ve got for you on Thursday’s show (23rd July) – 7pm BST / 2pm EDT / 11am PDT. Deep Purple, Black Sabbath, Led Zeppelin, Judas Priest, Status Quo, Guns ‘N’ Roses, Dio, Scorpions are more than worthy of a mention. Lining up against them are bands with some brand new music like NWOBHM’ers Praying Mantis, Thrash legends Acid Reign release their first single in 25 years, Joe Satriani who releases his 15th studio album on 24th July, Royal Hunt, Lynch Mob, Amorphis, Unleash The Archers, Audiotopsy, King King and the awesome new single from Queensryche! 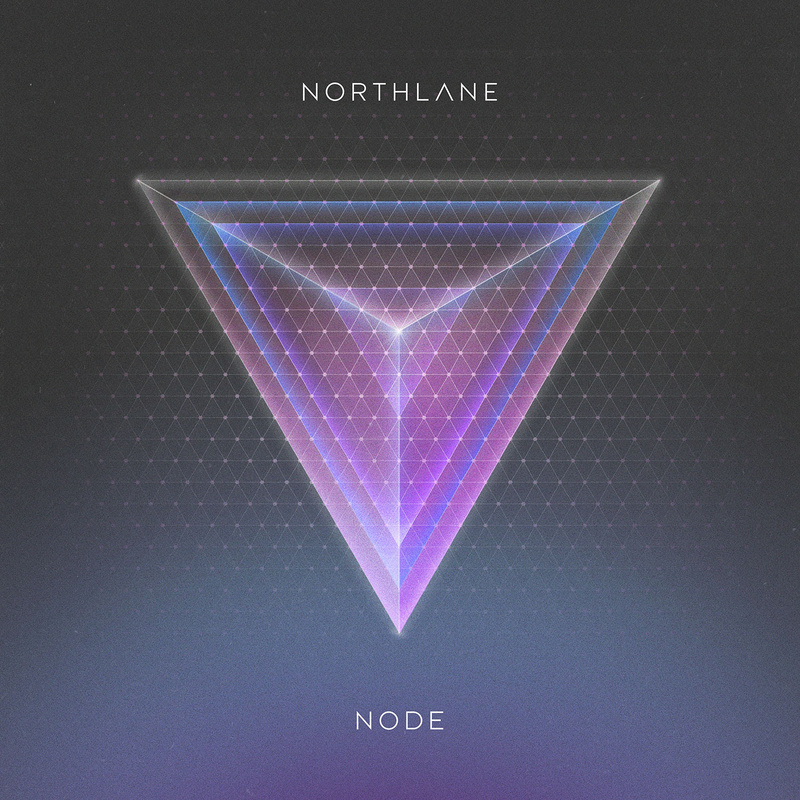 Not only that, we hear from Josh Smith and Marcus Bridge of Northlane ahead of their new album Node, which is being released Friday 24th July. Naturally, we intend to get through all of your requests, which include Blackberry Smoke, Steppenwolf, Lionize, UFO, Kiss, Saxon, The Who, Extreme and Motorhead. Let’s not forget that we will be announcing the ‘Ol Drake’ Competition Winner (click here to ENTER). Be quick, as the competition closes at 9pm BST. Join in the chat and comment on our Facebook Group and on Twitter @classicrockshow during the ‘live’ broadcast from 7pm until 10pm BST. Listen links can be found on the Homepage. Looking down the list of song requests for this Thursday’s show, I can’t wait to crank these babies up on the night: Nazareth, Pearl Jam, Iron Maiden, Scorpions, Metallica, Def Leppard, Warrant, Black Stone Cherry, Foghat, Kings Of Leon, The Doors, Black Label Society, Diamond Head, Five Finger Death Punch, Max Webster, Foo Fighters…quality tuneage all the way! Alice Cooper, Faith No More, David Bowie, Deep Purple, Motley Crue, Mr Big, Saxon, White Lion and Poison will get featured as they all released albums at about this time in the past. Plus…we’ve the first previously unreleased version of a Led Zeppelin track that’s been made available for airplay from Reissue program. ‘Hots On For Nowhere’ will form part of the ‘Presence’ album bonus tracks or “companion tracks” as they now like to call them. We get to play some totally awesome box-fresh music on the show too: The latest singles from firm favourites Slayer, Fear Factory and Five Finger Death Punch, as well as those from a swathe of exciting young bands such as Citizen, Northlane, John Coffey, The Picturebooks, Screaming Eagles, Templeton Pek and Third Lung. Join in the chat and comment on our Facebook Group and @classicrockshow during the ‘live’ broadcast. Listen links are found on the home page. After last week’s ‘Bex Rocks’, we’re back behind the wheel again tonight with three hours of rock tuneage for you: Two from Mötley Crüe and AC/DC, some proper good ol’ Southern Rock with The Allman Brothers, Grinderswitch and The Marshall Tucker Band, along with Van Halen, Led Zeppelin, Manowar, The Cult, Helloween, Biffy Clyro, Gary Moore, Deep Purple and Black Sabbath. Plus we’ve got some more new music; from Long John Laundry, The Picturebooks and The Vintage Caravan, as well as track from each of the four bands who begin their UK Tour together next week – Coal Chamber, Soil, The Defiled and Dope. We’ll be playing tracks from albums by Anthrax, Pantera and Saxon, who released albums back in the day around this time in May. Climb on board from 7pm BST (2pm EDT) tonight! Another week has flown by and we’re here again ahead of tonight’s show letting you know what we’ll all be rockin’ out to later. We begin, as is the norm these days, with two tracks from albums which were released around about this week back in the day; two prime cuts of well-hung beef in the form of Van Halen and Krokus. Also on The Classic Rock Show tonight (from 7pm BST) are Alice Cooper, Black Sabbath (x3), Queen, Magnum, Sammy Hagar, Led Zeppelin, Atreyu (who absolutely killed it last night at The Underworld, Camden), The Cult (from their stunningly brilliant Sonic Temple album which was released 25 years ago and still sounds awesome! ), Buckcherry, Hinder, Blackberry Smoke, Anti-Nowhere League, Pearl Jam, W.A.S.P., Children Of Bodom, Alestorm, Rainbow, Savatage, Def Leppard, Kiss, Status Quo, Peter Frampton…and so the list goes on! 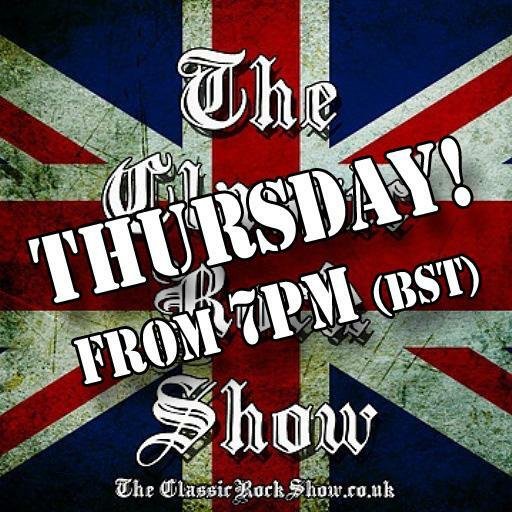 Join us on Twitter @classicrockshow (use the hashtag #TCRS) and/or our Facebook Group. Listen links can be found on the homepage…see you at 7pm BST for three hours of great music. 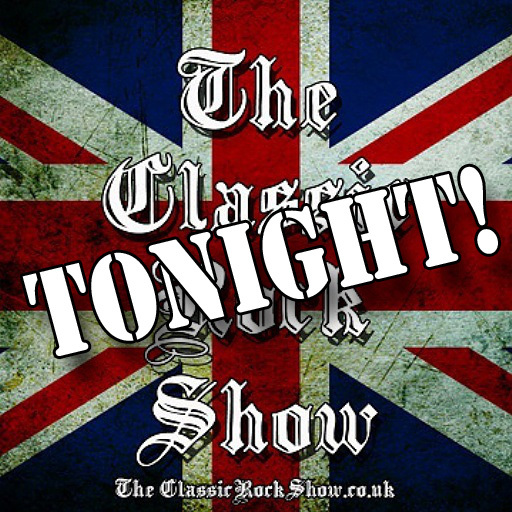 Celebrating 5 years of The Classic Rock Show tonight! We’ve been counting down the days this week and the day has finally arrived. ‘The Classic Rock Show’ and ‘Bex Rocks’ has been bringing together people from the world over to listen to some of the very best rock music around for the past five years. We’re celebrating our 5th Birthday tonight (from 7pm UK time) and we’d like very much for you to join our celebrations, raise a glass or three of something nice and rock out to some top tuneage! So, to those who have been with us from the start over the years, all the bands, record labels and PR, and to all our new listeners too, from Bex and myself, a big mahoosive thank you to each and every one of you. Can I tell you what we’ve got lined up for you tonight? Yes, of course. Artists such as AC/DC, Skid Row, Gary Moore, Rival Sons, Iron Maiden, Whitesnake, Bryan Adams, Heart, Deep Purple, Rush, Pearl Jam, Nirvana, The Temperance Movement, Blackberry Smoke amongst others plus we’ll be playing two songs that opened up ‘The Classic Rock Show’ five years ago…from Led Zeppelin and Wishbone Ash.